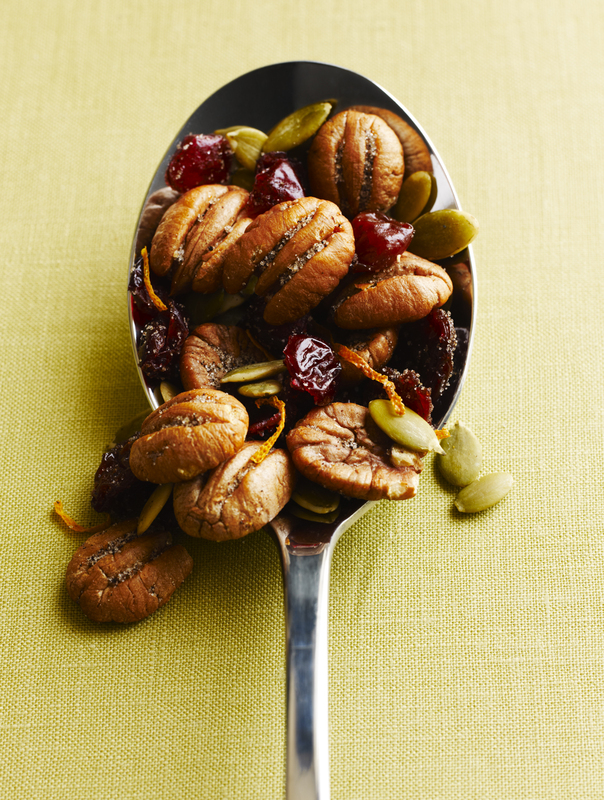 In a medium bowl, combine the toasted pecans, cherries, pepitas, and cranberries and mix to combine. Serve as a snack. Nutrition Profile: 210 calories, 16 g total fat, 2 g saturated fat, 0 mg cholesterol, 115 mg sodium, 13 g carbohydrates, 2g fiber, 5g protein.